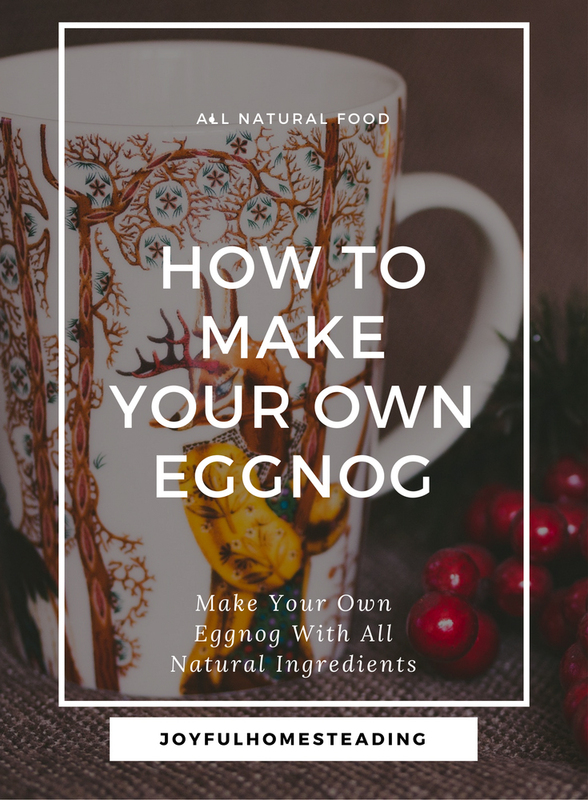 Homemade eggnog recipe may sound complicated, but it really couldn't be easier, and it's a great way to incorporate your fresh eggs and goat's milk into a delicious treat your children will love. Of course, if you're not fortunate enough yet to have your own goats, regular cow's milk or even a non-dairy milk, such as almond or coconut milk, will work just as well. It's frugal way to enjoy this delicious treat! During Christmas season, my kids are always begging me for eggnog, but I'm not crazy about the extra cost or the sugar. Fortunately, this recipe is so easy, I can provide it to them year round, substituting coconut sugar for a low-cost, healthy eggnog. So How Did Eggnog Come About? There are several theories as to how eggnog got its name. 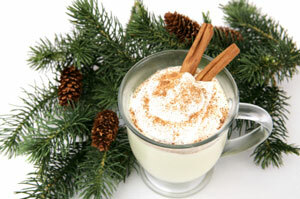 The word nog comes from the word "noggin" which means cup, so eggnog literally means "egg in a cup". The sweet, milky drink has been around since the seventeenth century, where it was first drunk by the upper class, since only those who owned acreages got to drink milk. The tradition of this sweet, rich drink was later brought to America from Europe, where it was common to make a punch out of milk and wine. But Colonial Americans used rum - or grog as it was more commonly known - in place of the wine. Also, it was traditionally drunk from noggins - typically small, carved wooden mugs, the phrase, "egg and grog in a noggin" was eventually shortened to eggnog. Or so the story goes. George Washington loved eggnog so much that he made his own special recipe, using a potent mix of rye whiskey, rum and sherry, and in the 1800s, a Christmas call on a friend or neighbor was not complete without an offering of eggnog. This homemade eggnog recipe comes from the book, A Homemade Christmas: Creative Ideas for an Earth-Friendly, Frugal, Festive Holiday by Tina Barseghian. Place the egg yolks in a large bowl and add 1/4 cup of the sugar, salt and vanilla until the mixture thickens. Then add the milk and continue beating. Slowly add in the rest of the sugar along with the heavy whipping cream. Then add the egg whites and beat until you get frothy peaks. If you like brandy or rum in your eggnog, pour these in last and gently stir until well mixed. Your chances of getting salmonella through eating raw eggs is pretty rare, but to be safe, either use fresh eggs from your own chickens or a farmer you know, or slowly heat your eggs to 160 degrees Fahrenheit before using them in your homemade eggnog recipe. Please post your comments by clicking on the link. And thank you.